Michael A. Walsh is a partner in Nutter's Litigation Department and member of the IP and Patent Litigation and Business Litigation practice groups. A trial lawyer, he has more than thirty years of experience trying cases before juries in both state and federal courts, as well as before arbitration panels. His practice is limited to civil litigation, focusing on business litigation and the litigation and trial of intellectual property cases. Many of the cases in which he has been involved were class actions. He also has extensive experience litigating business disputes in arbitration. 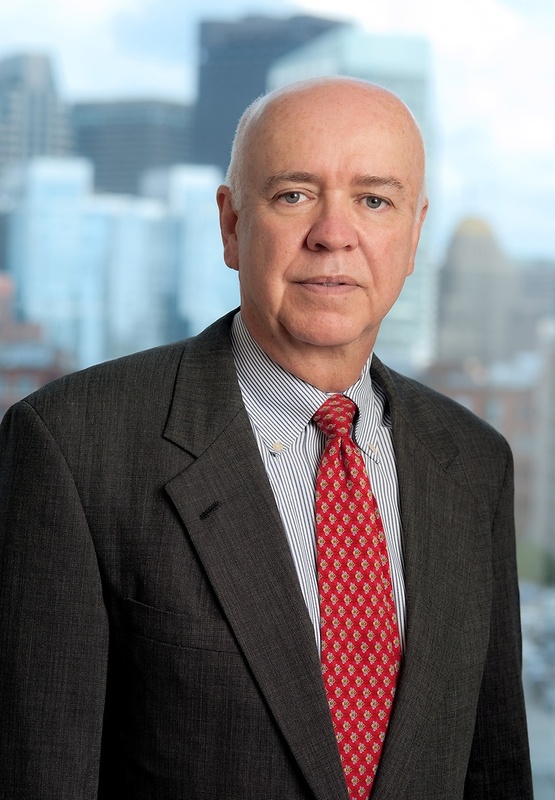 He has represented clients as diverse as Time magazine, Harvard University, Major League Baseball, publicly traded biotechnology companies, public and private high technology companies, venture capital firms and institutional investors, among many others. Served as counsel to publicly owned high technology company based in California in litigation arising out of the termination of a merger and acquisition agreement by a privately owned Massachusetts high technology company. Served as counsel to the Boston-based venture capital firm that acquired majority ownership of Motown Records, LP, in litigation against the major label, Los Angeles-based record company with whom it partnered in the purchase of Motown. This litigation was brought in the Superior Court for Los Angeles County. Served as counsel to Motown Record Company, LP in litigation arising out of the sale of its assets. This litigation, pending in Los Angeles, California and London, England, involved issues arising out of the corporate transaction, including royalty accounting issues. Served as counsel to a Massachusetts life insurance company in litigation challenging the constitutionality of the statute which restructured the savings bank life insurance system in Massachusetts. Represented a Massachusetts-based health insurance company in various large business litigation matters, including a class action asserted under ERISA. Served as counsel to a British telecommunications company in U.S.-based litigation arising out of the termination of a proposed partnership for the development of a paperless system for the settlement of securities transactions on the London Stock Exchange. Served as counsel to a publicly owned biotechnology company in a series of cases, including suits brought against it by patients enrolled in clinical trials of an experimental pharmaceutical being investigated by the company. These cases were brought in the Delaware Chancery Court, the United States District Court for the District of Nevada, the United States District Court for the Eastern District of Pennsylvania, and the Court of Common Pleas of the Commonwealth of Pennsylvania. Represented a Massachusetts-based insurance company in connection with claims alleged against it by the trustee of Enron Corporation in connection with Enron’s purchase of hundreds of millions of dollars of commercial paper during the period immediately preceding its bankruptcy filing. This case was brought in the United States Bankruptcy Court for the Southern District of New York. Represented corporate investors in a money market mutual fund that “broke the buck” when Lehman Brothers filed for bankruptcy in September, 2008. This litigation was pending before the United States District Court for the Southern District of New York. Served as counsel to a Massachusetts dental service corporation in class action litigation brought against it by the dentists who participated in its dental insurance plans. Represented insurance companies that wrote workers compensation insurance in class action litigation involving the entire workers compensation industry. This litigation, brought in the United States District Court for the Northern District of Illinois (in Chicago), involved claims of hundreds of millions of dollars of premium underreporting that affected the contributions of all class members to state-mandated reinsurance pools. Represented IBM in various business litigation cases brought in Massachusetts. Represented the author of a literary work in copyright infringement litigation brought against a computer programmer who wrote software based upon the author’s work. Represented a New York-based independent record company in trademark infringement litigation involving its most successful artists, after those artists disavowed their recording contracts and signed with a Los Angeles-based major label. Served as counsel to a German-based multinational manufacturer of athletic shoes in trademark and trade dress litigation brought by and against U.S. competitors. Represented a Boston-based fine arts museum in various copyright and trademark matters. Served as counsel to a developer of computer software systems and related documentation in copyright infringement litigation involving its software and related documentation. Represented Harvard University in patent infringement litigation against a large pharmaceutical company. The case involved the claimed infringement of a pioneering patent for the detection of HIV infection in human subjects. Represented a Massachusetts-based health insurance company in cases involving the protection of its trademark rights. Represented the publisher of Time magazine in connection with trademark infringement claims alleged against it by a large university. Served as counsel to a prominent food processing conglomerate in false advertising litigation under the Lanham Act arising from claims made in network television commercials aired by a competitor. Represented Major League Baseball in trademark piracy cases involving the use of Boston Red Sox trademarks and logos. Note, “Limiting Judicial Intervention in Ongoing Administrative Proceedings,” 129 U. Pa. L. Rev. 452 (Dec. 1980) (examining erosion of federal doctrine requiring exhaustion of administrative remedies as a prerequisite to the availability of judicial remedies). “Hot Issues Under the Lanham Act,” in Recent Developments in Intellectual Property Law (MCLE 2004) (reviewing various issues under the Lanham Act, 15 U.S.C. §§ 1051 et seq., as to which judicial opinions conflicted). “The Disappearing Evidentiary Value of Federal Trademark Registrations,” 78 BNA Patent, Trademark & Copyright Journal 355 (July 17, 2009) (examining an emerging trend in judicial construction of the Lanham Act’s provision that a federal trademark registration constitutes “prima facie evidence” of a mark’s validity, 15 U.S.C. §§ 1057(b), 1115(a), and the implications of that trend upon jury trials of infringement cases). An experienced trial lawyer, Mike has represented clients as diverse as Time magazine, Harvard University, Major League Baseball, publicly traded biotechnology companies, public and private high technology companies, venture capital firms and institutional investors, among many others.